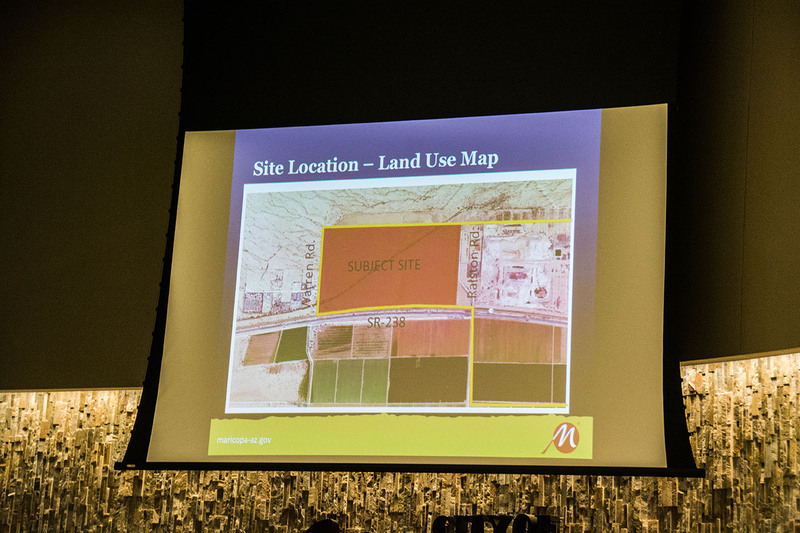 Home Tags Articles tagged with "Apex"
Phase 1 of the Apex Motor Club project involves the part of the property south of the wash.
A lawsuit against the City of Maricopa and Private Motorsports Group is making its way to the Arizona Supreme Court. Plaintiff Bonita Burks, represented by attorney Tim La Sota, filed a petition for review with the high court Aug. 14. Receipt was logged Aug. 21. The case status is still pending. It has not been assigned to the court schedule. The case, Bonita Burks v. City of Maricopa, et al., alleges the city inappropriately granted a permit to Private Motorsports Group to build Apex Motor Club in an area that would cause her harm. Burks claimed in court filings the as-yet undeveloped Apex had potential noise and traffic issues not properly considered in city reports. In July, the Court of Appeals in Tucson ruled Burks did not have standing because she could not prove her home in Rancho El Dorado would be especially impacted by the Apex development more than five miles away. The judges also declined to waive the standing requirement as La Sota requested. The suit names the City of Maricopa, all councilmembers and the mayor individually, the city’s Planning and Zoning Commission and the zoning administrator, as well as Private Motorsports Group. The case was initially filed July 19, 2017, when Burks was still represented by attorney Grant Woods. At the Superior Court level, Judge Robert Olson ruled against Burks, who then filed in the appeals court. During the appeals process, La Sota became Burks’ primary counsel. La Sota had previously represented Maricopa Citizens Protecting Taxpayers, an out-of-town group that sued the City over the Apex approval. That case, too, reached the Arizona Supreme Court, where it was rejected for review. The property in dispute is at the southeast corner of Highway 238 and Ralston Road. La Sota did not respond to a request for comment. The City does not comment on ongoing litigation. Oral arguments in a lawsuit against the City of Maricopa are set to be heard by the Arizona Court of Appeals in July. Bonita Burks sued the City in May 2017 after it granted a conditional-use permit to Apex Motor Club, owned by Private Motorsports Group, for development of land west of Ak-Chin Southern Dunes Golf Course for a private track and clubhouse. Burks’ initial complaint was about the possibility of noise and traffic problems. The Division 2 appeals court in Tucson will hear from both sides July 11 at 2 p.m. Burks’ attorney, Timothy La Sota, requested the oral arguments. La Sota said his client was fighting to make city officials follow the law. The court is deciding whether Burks, whose Rancho El Dorado home was five miles from the proposed site, has standing to sue or whether the standing requirement should be waived so the courts can look at the validity of her case against the City. Last September, Superior Court Judge Robert Carter Olson ruled Burks did not have standing. Attorney Michael Riikola appealed that decision, and La Sota took over Burks’ case five months after the Court of Appeals took it up. La Sota previously represented Maricopa Citizens Protecting Taxpayers, a political action committee that had tried to force the city to put the Apex permit on a ballot. Apex has claimed collusion by the two parties, alleging the legal actions were part of a delaying tactic by owners of Attesa, a planned motorsports facility in Casa Grande. That suspicion led to Apex representatives filing a complaint against MCPT over its political financing. In the case before the Court of Appeals, the city is represented by Denis Fitzgibbons. Private Motorsports Group is represented by the Coppersmith Brockelman firm and Rose Law Group. Gary L. Vasquez is the presiding judge. Apex Motor Club, owned by Private Motorsports Group, wants to open a private track in Maricopa. A lawsuit against the City of Maricopa over its zoning approval for Apex Motor Club is still slogging through the appeals court. Thursday, the court ruled on a transcript filing that was in dispute. Until a decision is reached by the Court of Appeals Division 2 in the case of Bonita Burks v. City of Maricopa, Private Motorsports Group will keep its Apex plans idling. PMG spokesperson Mike Scerbo simply said there were no new developments. “It’s the City’s practice to not elaborate on legal matters,” spokesperson Jennifer Brown said. However, the new attorney for Burks said his client is awaiting a decision on his request for an oral argument. The timing of that is unknown. Timothy La Sota, who previously represented the committee Maricopa Citizens Protecting Taxpayers in its failed actions against the City of Maricopa and Apex, took over Burks’ appeal from Grant Woods and Michael Riikola in April. His arguments for Burks are similar to those he made for MCPT, a case which was also first heard by Superior Court Judge Robert Olson. In September, Olson ruled Burks did not have standing to challenge the issuance of the permit because she could not prove her claim that potential noise, odor and traffic from the motorsports track would cause her injury. Noise studies conducted for PMG indicated nearby trains were louder than sportscars would be. “We have a situation where a Superior Court judge has found the City’s actions to be unlawful but that Ms. Burks does not have standing to challenge the unlawful actions,” La Sota said. That reference is to Olson’s addendum in his ruling against Burks, a non-binding opinion that also suggested the City was wrong to grant the permit. That is the crux of Burks’ appeal, which was filed in November. Riikola, one of Burks’ previous attorneys who took the case to the Court of Appeals, was granted extensions for filing briefs in April. Soon after, La Sota applied to be substitute counsel in place of Riikola and Woods. May 5, La Sota requested an oral argument. Yet to decide on that request, Presiding Judge Gary Vasquez did rule on a debate about the transcript Thursday. La Sota had filed a copy of the transcript from the September hearing with the appellate court. The City claimed the filing did not abide by the rules, and “absent portions of a record supports the trial court’s ruling,” something Burks’ counsel denied. Vasquez struck Burks’ transcript filing. It is a small skirmish in a battle that delays any potential development of the property on the northwest corner of State Route 238 and Ralston Road. La Sota’s earlier effort with MCPT to get the zoning matter on a ballot for a public vote was denied by the Arizona Supreme Court. Meanwhile, in the second suit, Burks’ previous counsel had argued the City had misapplied the zoning code in granting a conditional use permit. An organization in opposition to the planned private motorsports complex, Apex, filed campaign finance reports with the City of Maricopa after being threatened with nearly $13,000 in fines for failing to do so. Despite losing the legal battle, La Sota said his clients are pleased. “We’re very happy with the resolution, and obviously not paying any kind of fine,” La Sota said. The organization mounted the legal challenge last year after city council approved a conditional use permit for the racetrack to move forward with the project, saying the decision should have been brought to voters on the November ballot. The case made it all the way to the Arizona Supreme Court, which ultimately dismissed the complaint against the City and Apex. City Attorney Denis Fitzgibbons said this conclusion was amicable and likely the best they could have hoped for. Fitzgibbons added, when it comes to civil matters such as this, it’s hard to say for certain the issue is 100 percent quashed. Based on the opposition’s response, though, he feels the matter is closed. Despite the organization’s lack of response to the city’s initial inquiries about campaign finance reports, Fitzgibbons said, La Sota was very cooperative in seeking a resolution. As for those who initially filed the complaint with the city, Fitzgibbons said he did not believe they would have any sort of independent right to pursue the case further. Lawyers from the firm Coppersmith and Brockelman, representing Private Motorsports Group, Apex’s parent company, initially filed the complaint with the city Oct. 30. He did admit to meeting Erickson in November but again said he did not have any knowledge of his potential involvement in any Apex opposition group. The campaign finance reports submitted by La Sota do not directly indicate Erickson was a benefactor. However, they do show the $5,204 in funds they received were paid for by Sovereign Land Assets, LLC, a company that listed as principal agent Joseph Villasenor, someone with alleged ties to both Erickson and lawyers who represent another Apex-opposition complaint filed on behalf of Maricopa resident Bonita Burks. Though InMaricopa has not been able to uncover any direct ties between Villasenor and Erickson, it has been discovered Villasenor and Burks’ lawyer, former Arizona attorney general Grant Woods, were both involved in a legal battle involving the Phoenix Coyotes and the Scottsdale Polo Championship. The PR firm hired by the Coyotes to assist in defeating a similar 2013 referendum attempt in Glendale is the PR firm currently representing Apex – Rose+Moser+Allyn Public & Online Relations. The firm eventually sued the Coyotes seeking $250,000 they claim was promised to the Scottsdale Polo Championship, which is run by Rose+Moser+Allyn. Neither the chairman for Maricopa Citizens Protecting Taxpayers, Robert Rebich, nor its treasurer, David Prom, live in Maricopa. The organization’s Application for Referendum Petition show their mailing addresses to be in either Phoenix or Scottsdale respectively. When asked whether he believed it was appropriate for non-residents to attempt to participate in the political process, La Sota said his clients were in the right. Additionally, any parties responsible for paying the legal costs accrued by Maricopa Citizens Protecting Taxpayers were not disclosed in the campaign finance report, La Sota said, citing an Arizona Law that allows for the exclusion of such details. Both La Sota and Fitzgibbons agree to the legitimacy of the laws application, thus likely ending the city’s legal battle with the organization, which La Sota claims will soon be formally disbanded. The Burks’ case, however, remains to be decided with the Arizona Court of Appeals. An opening brief for that case is scheduled for Feb. 20. MOBILE USERS GET NEWS FIRST. Download InMaricopa for Apple and Android devices. Apex Motor Club plans to build a private race course for sports cars on property in northwest Maricopa. After Maricopa granted the permit, both the city and Apex were sued. City officials are alleging a political action committee formed in opposition to a planned private motorsports complex in Maricopa violated Arizona campaign finance laws by failing to disclose donors, an inaction that could cost the organization nearly $13,000 in penalties. By doing so, the letter further declares, the group has incurred nearly $12,675 in penalties with the city. According to the city, the committee should have then filed finance reports by July 15 or Oct. 15, 2017, which it did not. In an initial legal confrontation, Maricopa Citizens Protecting Tax Payers failed to force the zoning change of a parcel of land on the western edge of Maricopa to a city-wide referendum. Thus, La Sota argued, the election never happened, negating any reporting requirements. The argument posed by La Sota, suggesting the committee was not required to register, and subsequently not required to report, was erroneous, Fitzgibbons said. The city is offering to quash the $12,675 in penalties if Maricopa Citizens Protecting Taxpayers “files complete, accurate and truthful campaign finance reports” within 10 days of the issuance of the Notice of Imposition of Penalty letter. If the reports are not filed by the Jan. 28 deadline, the city plans to seek a legal judgment to enforce any fines or penalties. Notices of Violation and Imposition of Penalty were sent to the committee’s chairperson, Robert Rebich, and the committee’s treasurer, David Prom, neither of whom live in Maricopa. The parcel of land that prompted this legal fight is located on the northwest corner of Ralston Road and State Route 238 and is the proposed site of a private motorsports club called Apex. It has been alleged Maricopa Citizens Protecting Taxpayers was funded, either in part or in total, by developer Dan Erickson and partners who are planning to build an even larger motorsports complex near Casa Grande called Attesa. In an Oct. 2017 open letter to Pinal Central, Erickson said he agreed with both the committee and a separate Maricopa resident named Bonita Burks who also attempted to mount a legal opposition. Attorneys for both Maricopa Citizens Protecting Tax Payers, and the second complainant – Burks – have denied affiliations with Erickson. If Erickson is, in fact, the committee’s benefactor, campaign finance reports could prove the allegations. Craig Jackson is CEO of Barrett-Jackson Auction Company. Private Motorsports Group, the developer of Apex Motor Club in Maricopa, announced the addition of three big names in the automotive industry as a founding member and new advisers. Craig Jackson, CEO of Barrett-Jackson Collector Car Auctions and Valley resident, is a founding member of Private Motorsports Group. Apex is planned on a site north of State Route 238. The $30 million project was unanimously approved earlier this year by the Maricopa City Council and Planning & Zoning Commission. Arie Luyendyk, two-time winner of the Indianapolis 500 (1990 and 1997) and a Valley resident, is on board as an Apex adviser. So is Paul Tracy, CART/Champ Car Series Champion (2003). When complete, Apex will include two racing circuits, numerous garage condominiums for car storage, a clubhouse, a multi-purpose building and all of the amenities of an exclusive country club in a setting like few others in the country. Memberships start at approximately $20,000. The approval of permits for Apex Motor Club led to controversial lawsuits against PMG and the city, suits that have failed in court up to this point and resulted in a formal complaint being filed with the city against the plaintiffs. Lawyers representing the private racetrack Apex have filed a complaint against a political action committee that took Apex to court. The complaint, filed with the City of Maricopa by the lawfirm of Coppersmith-Brockleman, targets the group that took both the city and Apex to court in recent months regarding the company’s planned racetrack in Maricopa. In the complaint, attorneys representing Apex argue the group known as Maricopa Citizens Protecting Taxpayers, acting as a political action committee, broke Arizona state election law when officers failed to file campaign finance reports. “As a consequence, the Committee never registered and properly formed as a committee, and has been improperly operating in the city,” the complaint says. 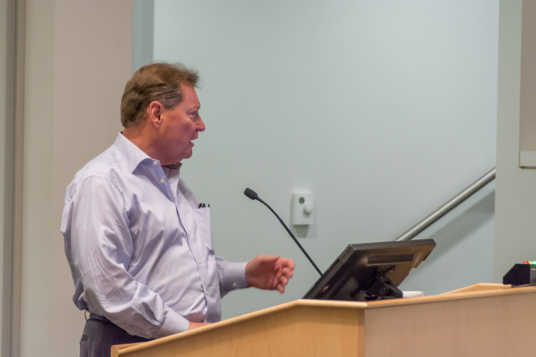 During a hearing regarding another lawsuit filed against the city and Apex by Maricopa resident Bonita Burks, lawyers for Burks denied allegations claiming that Dan Erickson and his company – Danrick Builders – are behind the Burks lawsuit. However, in a Sept. 26 letter to the Maricopa city attorney, Burks’ lead counsel, former Arizona Attorney General Grant Woods said both Burks and Erickson wish to settle the matter. Because of this connection, Apex attorneys believe they have evidence of collusion between Erickson and the two opposition parties that filed separate suits against the city and Apex. “Indeed, it is now clear that the Committee’s activities were but one piece of a comprehensive strategy employed by Danrick and its principal, Mr. Erickson,” the complaint states. Pinal County Superior Court Judge Robert Olson originally issued a judgment in favor of MCPT Aug. 9. However, both the Arizona Court of Appeals and the state Supreme Court later sided with the city and Apex, tossing out the lower court’s ruling. Burks filed an appeal Nov. 1 and is awaiting judgement. A Pinal County judge ruled Wednesday against the plaintiff in the last of two cases filed against the city and a company planning to construct a private racetrack in Maricopa. Judge Robert Olson of the Pinal County Superior Court handed down the judgement, ruling against Rancho El Dorado resident Bonita Burks based on her argument having a weak legal standing. Burks’ complaint alleged the Apex Motor Club track would prohibit “full enjoyment” of her property due to potential noise, odor and traffic created by the track. Her residence is more than five miles from the area in question, and is located on the opposing side of a major roadway, State Route 347, used by thousands of vehicles daily. Burks did not respond to requests for comment. Olson further rejected Burks’ arguments that an emergency ordinance (17-07), created by council to put referendums on the soonest possible ballot, was not an actual emergency. “The Court finds that it is a matter of legislative discretion for the City Council to make its determination whether a qualifying circumstance warrants enactment of a provision with an emergency clause,” Olson wrote. The ordinance was created soon after the first lawsuit was filed against the city in June. Since it was ruled that Burks had no standing, the case is likely done with. However, on the chance an appeals court could waive his judgement, Olson offered a detailed, non-binding opinion on the subject of the permitting process as it relates to the New versus Old Zoning Codes. That opinion claims the city may have been wrong in granting the permit. “The New Code did not reserve a right to PMG to obtain a use permit under the Old Code,” Olson wrote. Despite this opinion, city officials are considering this another victory. Earlier this week, Arizona Supreme Court denied an appeal by Maricopa Citizens Protecting Taxpayers, a group trying to force the permit decision to a referendum. The City is preparing to cancel the referendum. “The Maricopa City Council has just taken action to rescind the Ballot Proposition on APEX,” Maricopa Mayor Christian Price wrote in an emailed statement. Apex Vice President Matt Williams is elated with the decision and is happy the project can start to move forward. Williams and his colleagues are still determining what legal hurdles might still exists. Ground breaking most likely won’t occur until it is determined that all avenues for appeal have been exhausted by the opposition, in this case Burks. Nonetheless, Williams looks forward to soon announcing plans for construction. The decision to deny Maricopa Citizens Protecting Taxpayers both a Petition for Review and an Emergency Stay was handed down Wednesday by Chief Justice Scott Bales. The decision is the most recent in an arduous legal battle that was started when the organization attempted to force a referendum on the city’s issuing of a conditional use permit to Private Motorsports Group for the construction of a private racetrack called Apex Motor Club. After the city denied the organization’s petition for referendum, MCPT challenged the city and Private Motorsports Group in court, winning an Aug. 9 judgement that forced the city to forward the petition to the Pinal County Recorder, starting the referendum process. The city and PMG simultaneously filed an appeal. And, on Sept. 6, the Arizona Court of Appeals overturned the lower court’s judgement, which then provoked Maricopa Citizens Protecting Taxpayers to file with the state Supreme Court the now-denied Petition for Review and Emergency Stay. Though this is likely the last hurdle the city will face in this particular case, another case, filed by Rancho resident Bonita Burks, was heard Monday in Pinal County Superior Court and is awaiting judgement. A decision on that case is expected by Sept. 14. Players in a high-profile case against the City of Maricopa presented arguments Monday in a Pinal County courtroom, during which it was alleged by the defense that the plaintiff was paid to file the complaint. The suit, filed by attorneys Grant Woods and Michael Riikola on behalf of Rancho El Dorado resident Bonita Burks, argues the city improperly granted a conditional use permit to Private Motorsports Group, a company wanting to build a private racetrack on the outskirts of the city under the name Apex Motor Club. During the hearing Evan Bolick, counsel for the defense, alleged Burks was “being paid” by an unnamed entity to be the plaintiff in this case. Burks is the owner of Sign Here Petitions, a signature-gathering company Bolick said was enlisted by another organization – Maricopa Citizens Protecting Tax Payers – to gather signatures for a petition seeking a referendum on the same permit. Bolick provided no proof of his allegation. Burks’ suit is the second filed against the city over the Apex permit. 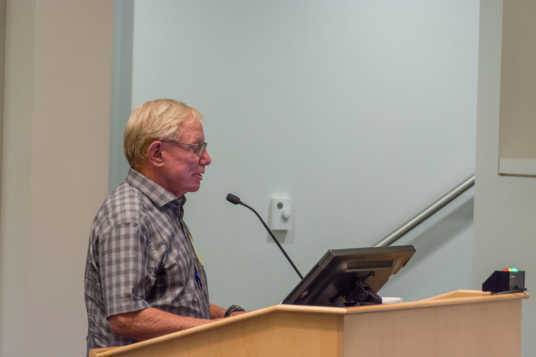 Maricopa Citizens Protecting Taxpayers was first to sue the city and Private Motorsports Group, regarding the permit, after city officials declined to forward their petition for referendum to the Pinal County Recorder’s Office. In August, a Pinal County judge ruled in favor of the organization, forcing the city to forward the signatures. The city, while simultaneously filing to initiate the referendum, also filed an appeal. And, on Sept. 6, an Arizona appellate court overturned the Pinal County ruling. The Court of Appeals has yet to release its full formal opinion on the appeal. Maricopa Citizens Protecting Taxpayers fired back by filing motions with the Arizona Supreme Court. A ruling is expected in that case before Sept. 14, the final day the referendum can be canceled. To the idea of the track “uniquely” affecting her, the defense argued there needed to be evidence of “special damages or peculiar harm” done against Burks specifically. If they did indeed exist, these types of effects – noise, odors, gas, smoke – they argued, are “generalized,” affecting the entire community and not just her. Burks lives more than five miles from the proposed private track. The defense further argued these “general damages” were already assessed by the city during the permit application process with sound, traffic and engineering studies that claim the effects would be negligible. The suit further argues the city had no right to sign an emergency ordinance that pushed the issue to the soonest possible election, hence the accelerated timeline with appeals. “Let’s just call it what it is, it’s not an emergency,” Woods argued, saying they simply didn’t want to stifle development. The defense argued in response that the city, according to legal precedent, had every right to create an emergency ordinance. Olson anticipates filing his decision by Sept. 13, one day before the Arizona Supreme Court is expected to hand down its ruling on the first case. It is also one day before the city will have its last chance to cancel the referendum. Apex Motor Club wants to race personal sports cars at a private track in Maricopa, but legal battles with a political action committee and a resident have delayed development. Parties involved in a lawsuit against the City of Maricopa and planned private racetrack Apex Motor Club offered their opinions Thursday about the recent court ruling against the City. Representatives from Apex’s parent company, Private Motorsports Group, and the City both expressed frustration with the Pinal County Court ruling. Neither was overly discouraged. Mayor Christian Price said the city is moving forward and will consider every legal option available. “I think certainly we’re disappointed, but we’ll look at our options, including appeal,” Price said. Wednesday, Judge Robert Olson ruled the City’s action in approving a conditional use permit for Apex was legislative and not administrative and, therefore, subject to referendum. If necessary, the election is in November and is mail-in, with the ballot issue labeled Prop. 418. The city is taking a cautious approach, preparing for the worst but hoping for the best, Price said. Their plan is to simultaneously initiate and follow the appeal process while they also prepare for the election. “We’re doing both at the same time so we’ll be in compliance either way,” Price said. Price further expressed frustration with the ideological contradictions of the organization that filed the suit – Maricopa Citizens Protecting Taxpayers. Public support for the Apex project has been seen on social media despite the lawsuits. 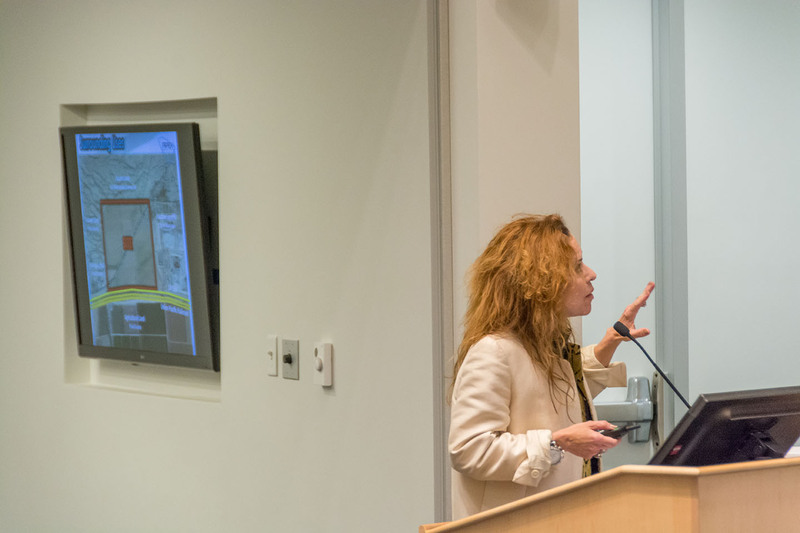 During public hearings prior to the City’s issuing of the questioned permit, very few individuals spoke against the project. Apex Vice President Matt Williams said a judgment like this was always a possibility and they are prepared to take the appropriate legal actions that will ensure the success of the project. The City of Maricopa has shown APEX overwhelming support, he said, and this ruling has not swayed them in the slightest. Wednesday’s court ruling won’t automatically direct the matter to a referendum. Instead, it only overturns the city’s denial of the plaintiff’s Petition for Referendum, ordering the City Clerk’s Office to forward the petitions to the Pinal County Recorder. A 5-percent “random sample” of the signatures will be verified, and, depending on the outcome, the county will decide whether the matter will move to the ballot. A second lawsuit was recently filed against the City and PMG, this time by Maricopa resident Bonita Burks. The lawsuit cites much of what is in the previous suit, though it further challenges an ordinance (17-07) created by the city in response to MCPT’s petition for referendum. If forced to a referendum, the ordinance says the matter must be directed to the soonest possible election. That ordinance puts the pending election on the Apex matter this year rather than November 2018. Hearing dates have not yet been scheduled for the second suit. Neither MCPT President Robert Rebich nor Burks has returned requests for comment. A Pinal County judge has ruled against the City of Maricopa in a lawsuit filed recently regarding the City’s issuing of conditional use permit to Private Motorsports Group for the proposed APEX Motor Club. 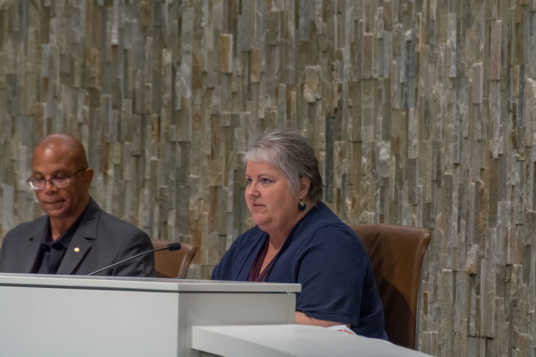 Judge Robert Olson issued the decision Wednesday siding with the plaintiff — Maricopa Citizens Protecting Taxpayers — and ordering the city to forward signatures gathered by the plaintiff for a referendum seeking to force the permit issue to a public vote. The city previously denied the petition and refused to forward the signatures to the Pinal County Recorder, arguing the matter was “administrative” rather than “legislative.” If signatures are verified by the recorder’s office, Maricopa residents will vote on the issue in 90 days. “Whether the new code preserved the right to apply for an industrial use permit or if the City Council made a policy decision to restore that right, the court finds the grant of the use permit is a legislative action and, therefore, subject to referendum,” Olson wrote in his decision. Citing the direct power vested in the City Council by the former code, Olson declared the action legislative. The Maricopa City Clerk’s office has been ordered to forward all signatures to the county recorder for verification. The City of Maricopa and Apex President Jason Plotke are in a court battle with a political action committee over the proposed motorsports facility's zoning. Arguments for or against a private motor facility in Maricopa are due by 5 p.m. tomorrow, pending a judge’s ruling. In a statement Tuesday, the city said it will refer the Maricopa City Council’s approval of a conditional use permit (CUP 17-01) for Apex Motor Club to the November election. City Clerk Vanessa Bueras said it is only a contingency, and Superior Court Presiding Judge Stephen F. McCarville has not yet ruled. His decision is expected shortly. However, arguments on the potential ballot issue must be submitted 90 days before the election. That puts the deadline at 5 p.m. Aug. 9. Bueras said the City opted to post the call today, “so folks have at least 24 hours” to submit for and against arguments if it does go to a special election. The CUP granted to Private Motorsports Group for the construction of a private motorsports facility called Apex, was challenged in June by an organization called Maricopa Citizens Protecting Taxpayers, which filed a lawsuit against the city. The organization’s stated goal is to force the CUP decision to a public vote. “Referendum 17-01 seeks to refer Maricopa City Council’s approval of Conditional Use Permit case number CUP 17-01, approving a motorsports facility at a 280-acre site at the northwest corner of Ralston Road and State Route 238,” the city’s statement says. 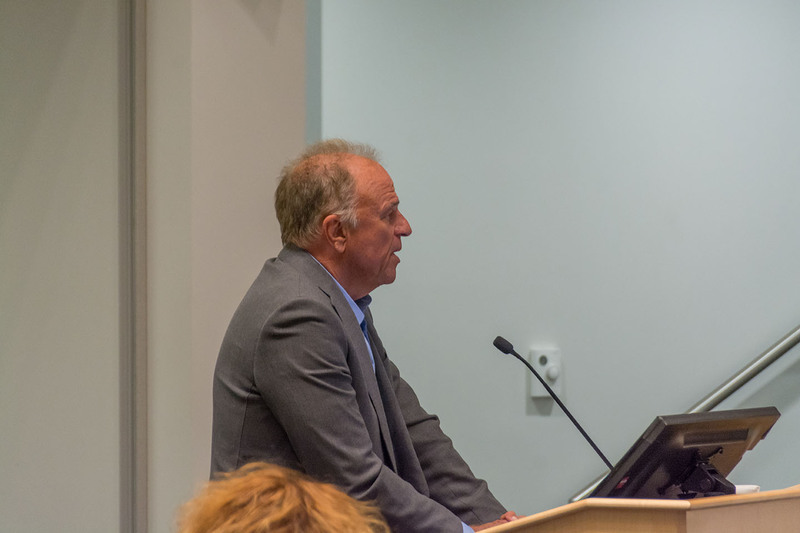 The city is awaiting the judge’s decision after a Pinal County Superior Court hearing Friday, during which MCPT presented arguments against the city’s decision to deny their petition for referendum. Unhappy with the city’s decision to grant the permit, MCPT petitioned the city for a referendum and was denied on the basis that the decision was an “administrative and not legislative” act. “Any arguments related to this item will be included inside an informational pamphlet, which will be mailed to each household containing a registered voter,” the statement says. The arguments must be submitted to the Maricopa City Clerk’s Office at City Hall, 39700 W. Civic Center Plaza. The Apex Motor Club's plans for a private track in Maricopa are stalled during legal wrangling. Another lawsuit has been filed against the city regarding the construction of a private motorsports track in Maricopa. The suit, filed in Pinal County Superior Court July 19 by former Arizona Attorney General Grant Woods on behalf of Maricopa resident Bonita Burks, alleges legal missteps by the Maricopa City Council in granting a Conditional Use Permit (CUP) to Scottsdale based Private Motorsports Group to construct a private racetrack in Maricopa named Apex Motor Club. The argument presented in the suit is three-fold. The new code, adopted Dec. 4, 2014, does not contain Industrial Use Permits (IUP), which the suit alleges is necessary to allow for the construction of a racetrack. Second, the suit alleges an ordinance enacted by city council to speed up the referendum process also violated the law. 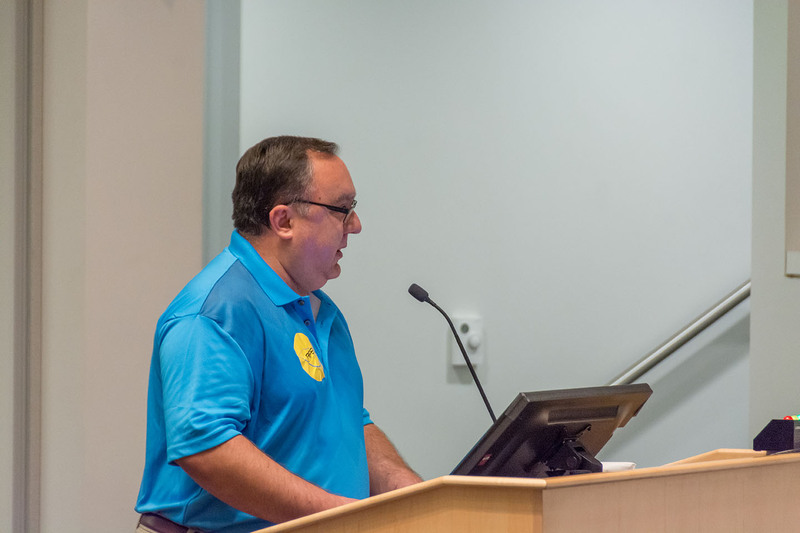 City Council enacted the ordinance (17-07) as a result of an Application for Referendum filed by a group called Maricopa Citizens Protecting Taxpayers, which is seeking to force a public vote on the decision to grant Private Motorsports Group a CUP. Maricopa Citizens Protecting Tax Payers filed suit against the city in June regarding the application denial. Burks’ home is roughly five miles from the proposed site. In the past, Apex President Jason Plotke has emphasized that the track would be a “private facility,” closed to the general public, which would see a maximum of “a couple hundred people,” during a full day’s time. The suit asks the court to reverse the CUP, to void Ordinance 17-07 and for reimbursement of legal costs. Burks has not yet returned a request for comment. The plans for Apex Motor Club have gone through the Development Services Department, Planning & Zoning Commission and City Council. A group calling itself Maricopa Citizens Protecting Taxpayers has filed a complaint against the City of Maricopa over its dismissal of a petition against Private Motorsports Group. That club of car enthusiasts is seeking to construct Apex Motor Club on the west side of the city. In April, the city council approved a conditional use permit allowing the construction. MCPT, which lists non-residents Robert Rebich and David Prom as its officers, circulated petitions to force that decision to a referendum. Though the petitions had enough signatures to make it a ballot issue, the city claimed the permit was not a legislative act but an administrative act and was not subject to referendum, according to the Arizona Constitution. The suit filed Monday in Pinal County Superior Court lists the City of Maricopa, the mayor and all members of the city council, Private Motorsports Group and City Clerk Vanessa Bueras as the 10 defendants. City spokesperson Jennifer Brown said the city had not yet been served but will follow the standard procedures for responding to a lawsuit. That includes evaluating whether the city’s attorney, Denis Fitzgibbons, should handle the case or outside counsel should be involved or the city should coordinate with the co-defendant in the case. Apex has been represented in its land-use dealings by Rose Law Group. In this case, Apex is represented by Coppersmith Brockelman Lawyers. MCPT is represented by Timothy A. La Sota, PLC. In deciding how to respond to the suit, the council will meet in executive session, which might be a special meeting outside the regular meeting schedule. Because of the Fourth of July next Tuesday, the next scheduled meeting of the council is not until July 18. After being served, “we generally have to file an answer within 20 days,” Brown said. Once an answer is filed, “the court basically dictates the next steps for us,” she said. Rebich has not returned calls for comment on the Apex issue. He and Prom are listed as plaintiffs on the suit, along with MCPT. A total of 86 petitions were filed by the organization, containing a total of 1,133 signatures, according to the Bueras. Of those signatures, 30 were determined by Bueras to be “deficient” and were stricken from the petition. The petition for referendum was initiated by Maricopa Taxpayers Protecting Citizens in an attempt to overturn the aforementioned Conditional Use Permit 17-01 granted by city council in April. The permit allows Apex Motor Club the right to begin the process of developing their private motorsports track on the northeast corner of Ralston Road and State Route 238, on the west side of the city. Another motorsports complex named Atessa in nearby Casa Grande is also in development stages. Jason Plotke at a February presentation of plans for APEX Motor Club. A committee aiming to stop the construction of APEX Motor Club in Maricopa turned in more than twice the number of signatures needed for a referendum. The Maricopa Citizens Protecting Tax Payers Political Action Committee was granted its request to file its 86 petitions Friday, when City Hall is usually closed. Its workers collected 1,133 signatures. For a referendum, it needed 491. The Maricopa City Council approved a conditional use permit for APEX in April. At the meeting a couple of residents expressed concerns about the project while others spoke in favor. The referendum is an attempt to force the city’s approval to a public vote. Robert Rebich, who is listed as chairman of the opposition committee with a Phoenix address, did not return phone calls. Former attorney general Grant Woods has said he represents local opponents of the private racing complex, primarily complaining about potential noise and traffic. Woods’ clients and anti-APEX social media group Speed Kills Maricopa (which hasn’t posted since April 26) remain anonymous. But Jason Plotke made no bones about who he thinks is behind the opposition, namely people connected to Attesa Motorsports Complex in Casa Grande. 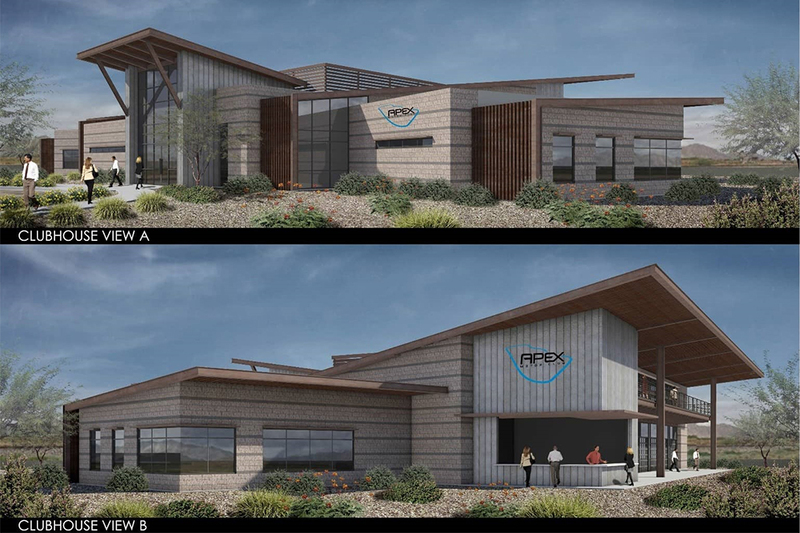 Plotke is the president of Private Motor Sports, which is developing APEX on a Maricopa parcel on the northwest corner of State Route 238 and Ralston Road. 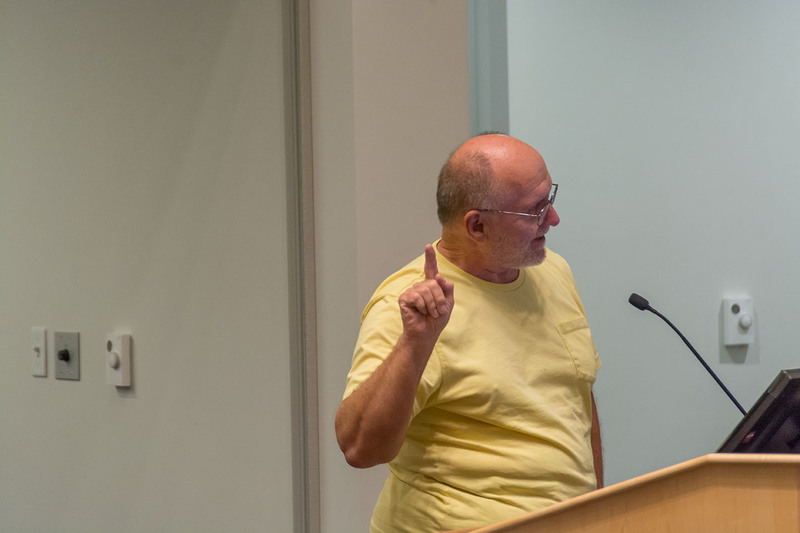 Though he has no paperwork linking the names with the committee, he said there were previously-overheard threats that caused him to connect the dots. Rebich, he said, is just the “henchman” for the Snell & Wilmer law firm, lobbyist Joe Villasenor and Attesa officials. Plotke said he had already heard from mutual acquaintances that Attesa was intent on stopping the APEX complex. Attesa also did not respond to inquiries. Plotke also claimed petition circulators “lied” about the purpose of the anti-APEX referendum to get signatures by telling the public the referendum was in support of APEX. Plotke said he does not see APEX as competition for Attesa. APEX is staying on its current schedule until the signatures are validated and a special election is possibly called. Led by controversial Phoenix lobbyist Joe Villasenor, the outsiders trying to slow our new automobile country club in Maricopa have sunk to a new low. Unable to find a single Maricopa resident to serve as Chairman or Treasurer of their campaign committee, Villasenor, likely on behalf of a similar project in Casa Grande, hired paid petition circulators to misrepresent and in some cases lie about Apex. They did so in order to try and force a public vote on the project. Apparently, they believe their own project [is] so insufficient that they cannot compete with ours. Whether Villasenor, Dan Erickson, Grant Woods and the law firm of Snell and Wilmer will continue their shameless, selfish ways and go to any lengths to challenge the City Council’s decision remains to be seen. None of us should be surprised if they again try to waste Maricopa’s time and money seeking only to benefit themselves and deny the new business and tourism Apex will mean for the community. Finally, we would like to thank the overwhelming support we have received in Maricopa, from Mayor Price to the City Council to our closest neighbors. We were excited about making the decision to invest in Maricopa. We are even more so after the tremendous reception. The City of Maricopa Chamber of Commerce welcomes the APEX Motor Club to our great city, as it will bring significant economic benefits to our growing City. The Maricopa Chamber of Commerce, since 1990, is the strongest business organization in our great community with a long history of supporting local businesses. As Maricopa’s Chamber of Commerce, we bring together the business community and partner with other local business support groups like, MEDA, MEC and Central Arizona College to educate and champion initiatives that inspire business growth in the City of Maricopa. On April 18, The Maricopa City Council unanimously approved plans for the APEX Motor Club, a country club for auto enthusiasts, and the Maricopa Chamber of Commerce fully supports this decision. The APEX Motor Sports Club will bring jobs to the community and help put Maricopa on the map as a tourist destination. The benefits are numerous, more tourists for our shops and restaurants and more jobs for our residents. We applaud our City officials for their approval of the conditional land use permit for APEX because they recognize the value of the more than 400 construction jobs, private capital investment of $30 million and the additional 20 to 30 permanent jobs that the project will generate over the next five years. And this is just the beginning of the benefits that can be realized from the APEX Motor Club project over the mid and long term. Unfortunately, a referendum campaign is being mounted to oppose the APEX Motor Club by a committee – “Maricopa Citizens Protecting Taxpayers” – whose officers do not reside in Maricopa. The Maricopa Chamber of Commerce Board of Directors enthusiastically supports the APEX Motor Club and we encourage all Maricopans to do the same. The Maricopa Chamber of Commerce, since 1990 is a 501(c)6 community benefit non-profit. You can contact the Chamber at 520-568-9573 or email Terri Crain at terri@maricopachamber.org. Chamber board members are Tami Johnson, Glenda Kelley, Suzie Miller, Adam Saks, Chris Wodka, Chris Cahall and Maurice D’Aoust. Private Motorsports Group President Jason Plotke sat down with InMaricopa to explain his organization’s plan to create APEX Motor Club in Maricopa. It is imagined as a private country club for sports car enthusiasts to bring and store their vehicles and drive them on a new track. Maricopa City Council approved a conditional land use permit in April, though there is continuing, anonymous opposition. The Maricopa Economic Development Alliance welcomes the APEX Motor Club to our great city, because it will bring significant economic, tourism and quality of life benefits to Maricopa. As Maricopa’s official private-public partnership for economic development, the Maricopa Economic Development Alliance (MEDA) brings together the business, education and government sectors to champion strategies and solutions that foster economic growth and prosperity in the City of Maricopa. The APEX Motor Club is exactly the kind of project that aligns with the goals and aspirations of Maricopans and the City’s Vision 2040 and Strategic Plan. This project essentially will be a country club for auto enthusiasts in Arizona and from throughout the country. The APEX Motor Club will be located on the northwest corner of Ralston Road and SR 238. 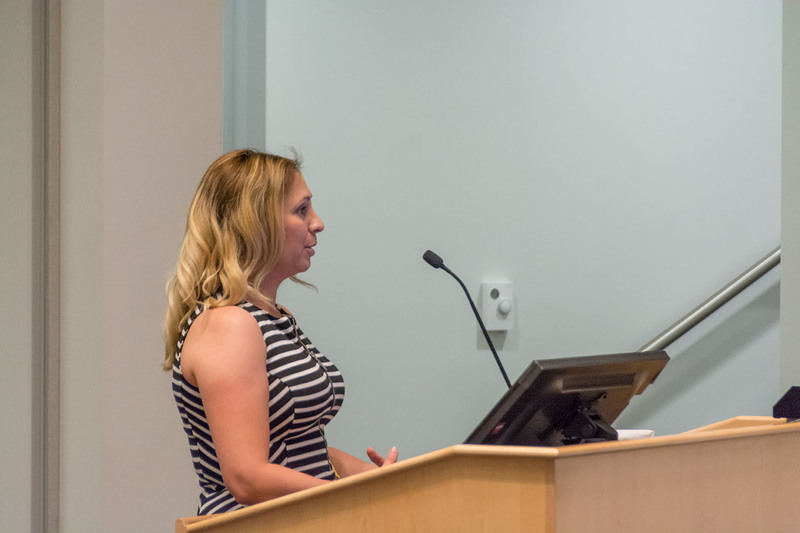 The Maricopa Planning and Zoning Commission approved the project’s application for a conditional land use permit on April 10, and the Maricopa City Council approval of the permit took place at its April 18 regular session. Our appointed and elected officials were wise in their approval of the conditional land use permit for APEX because they recognize the value of the more than 400 construction jobs, private capital investment of $30 million and the additional 20 to 30 permanent jobs that the project will generate over the next five years. And this is just the beginning of the benefits that can be realized from the APEX Motor Club project over the mid and long term. Given our very youthful stage of development, APEX represents a potentially game-changing investment for Maricopa. Not only will the project bring economic and community benefits, but the project also will increase visitors to our City. Maricopa will become part of the growing trend nationally for motorsports clubs for car enthusiasts, and our image will garner more cache in a new and exciting way. Just as importantly, the more we can put Maricopa on the “map” – especially with visitors – the stronger business case can be made for attracting a hotel into the city. Win-win all the way around. But the APEX Motor Club project now is facing opposition. A referendum campaign is being mounted to oppose the APEX Motor Club on the basis that a racetrack on SR 238, surrounded by neighbors who support the use, in an area already zoned industrial, which will bring jobs and tourists to the area, should not locate in the City of Maricopa. The owners of APEX have diligently followed all local procedures and ordinances required by the City of Maricopa. Given that the officers of the referendum committee – “Maricopa Citizens Protecting Taxpayers” – do not reside in Maricopa, nor did they necessarily approve our local zoning ordinances, we find it ironic that these outside parties want to thwart local laws and approvals. There is no doubt that all Maricopans want to see high quality employment generating opportunities abound in our city. Growing the economy and enhancing our coveted quality of life are fundamental goals for us all. The APEX Motor Club is the kind of project that will contribute to our quality of life and economic sustainability and contribute to advancing the economic development of Maricopa. The MEDA Board of Directors enthusiastically supports the APEX Motor Club and we encourage all Maricopans to do the same. 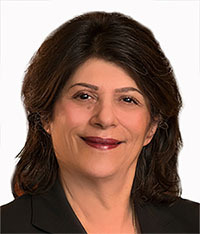 Ioanna Morfessis, Ph.D., is senior advisor to the Maricopa Economic Development Alliance, a nonprofit, 501(C)3 organization that was established in 2009 as the city’s economic development private-public partnership. Learn more about MEDA at www.maricopaeda.com. The Maricopa City Council has thankfully and wisely approved plans for the APEX Motor Club. It’s a country club for auto enthusiasts equipped with its own four-mile race course in a first-class facility outside of town at the northwest corner of Ralston Road and SR 238. In doing so the council sided with the people of Maricopa and against lobbyists and lawyers funded by an unnamed client outside the community who wanted to kill the motor club. A handful of thriving communities across America have their own facilities like APEX. Maricopa is in good company. The APEX Motor Club will help advance Maricopa as a tourist destination. It will also create more than 400 construction jobs over five years in addition to 20 to 30 permanent jobs when completed. The long-term benefits to the City of Maricopa are significant. The APEX Motor Club will bring more tourists to town filling up local stores and restaurants. It has been endorsed by business groups and those who care about Maricopa’s long-term prosperity. In addition to contributing to Maricopa’s economic development, APEX’s presence will lead to numerous high-visibility social media and automotive publicity opportunities. As a private motor sports club, it will be hard to notice. But the economic impact will be hard to ignore. Opposition came from out-of-town lawyers and lobbyists who have been spending money on TV commercials and videos on Facebook bashing this project. It’s unfortunate that this group is spending so much time and money trying to undercut a project that benefits the city. What’s worse is that their lawyers and lobbyists refuse to say who they work for, or maybe more importantly who is paying them to do this costly work. The good news is that the Maricopa City Council didn’t fall for it. They refused to be bullied by these out-of-towners more concerned with making a buck than making things better for the City of Maricopa. It’s insulting to think that these out-of-towners thought the City of Maricopa could be fooled by a smear campaign that was filled with hyperbole and devoid of facts. They tried to make our project sound like another Phoenix International Raceway when it’s just the opposite: A membership club for individuals, not events for the masses. Thank you, Mayor Price and the Maricopa City Council, for standing up to these mysterious out-of-towners and standing for a project we will work very hard to make you proud. Jason Plotke is the president and founder of Private Motor Sports Group. The Maricopa City Council voted Tuesday to permit a motorsports complex to move forward with the planning of a proposed private racetrack in Maricopa. The conditional use permit, filed by Scottsdale-based Private Motorsports Group, was unanimously approved by the council after a sizable group of both residents and nonresidents offered their opinions on the matter at the meeting. 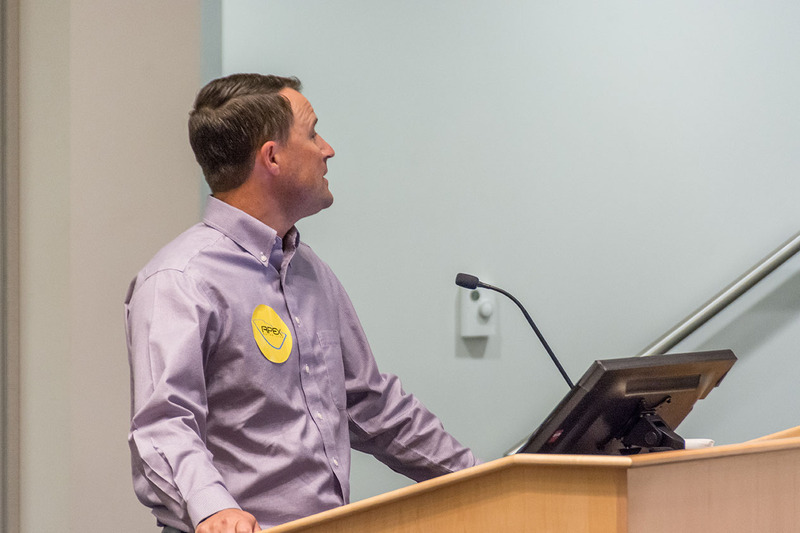 While most speakers, some donning yellow APEX Motor Club stickers on their chest, advocated in favor of the motorsports complex and its potential to aid in economic development in the city, others expressed concern with what they consider to be a hastily prepared project. Maricopa resident Rich Vitiello of Cobblestone Farms, one of the neighborhoods closest to the proposed track, acknowledged his support for any economic boom within the city. 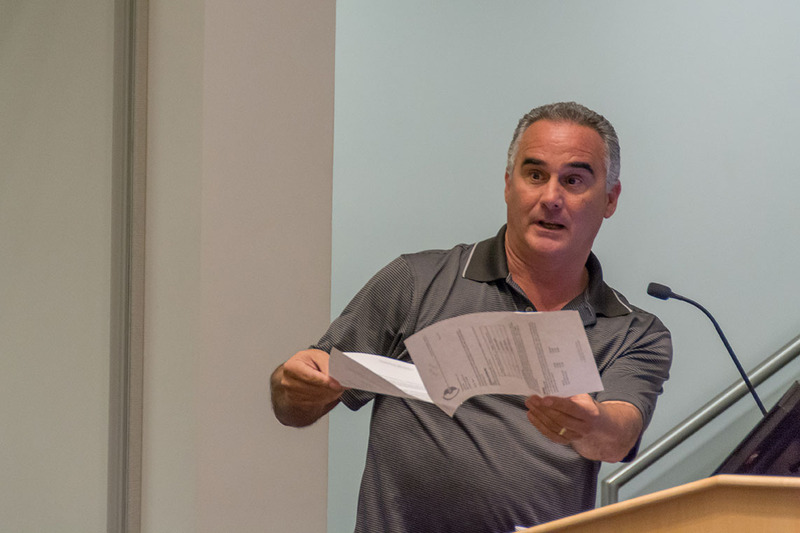 However, he also voiced concern over what he considers to be an inadequate noise study conducted by the permit applicant. 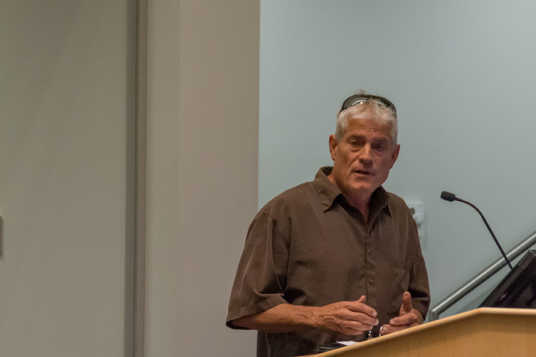 Former Arizona Attorney General Grant Woods also attended the meeting and spoke on behalf of “a number of Maricopa residents and business owners,” who, he said, are also upset with how the project has been processed. He argued his clients, too, are not necessarily against the racetrack but are upset with the rapid pace of its approval. 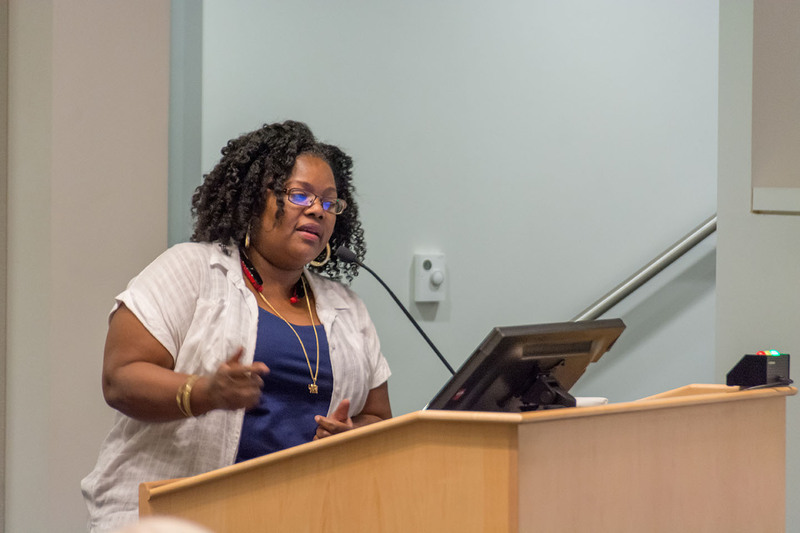 “We don’t think that the city has yet taken the steps it needs to, to make sure this is what you hope it might be,” Woods told the council. Woods referred to a situation with another complex, Arizona Motorsports Park near Luke Air Force Base, where the Maricopa County Board of Supervisors approved the park in 2001 and then revoked the permit in 2004 when nearby residents became annoyed by noise and traffic. The speed of this approval for this project, he said, indicates the city may not have made proper considerations. He fears the city may make the same mistakes Maricopa County made. To that, Woods said, it has barely been a year since the first announcement, and he feels a bare minimum amount of effort was made to gain public input. Recently an awareness campaign named Speed Kills Maricopa started a Facebook page and began promoting on TV and social media with video commercials dramatically depicting the dangers and potential nuisance such a track would bring. The videos have reportedly appeared on cable TV stations. 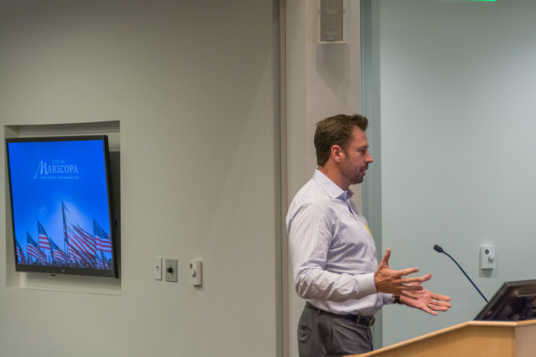 Councilmember Vincent Manfredi praised the commercials for doing what they were designed to do – raise public awareness. Furthermore, Councilmember Nancy Smith stressed the fact that the force behind the recent campaign is unknown. Smith hinted the campaign could be directed by forces with interests outside of Maricopa. Unsubstantiated reports have been made against a competitor looking to construct a similar, but considerably larger track in a nearby town. Apex Motor Club is slated to build its private facilities on 280 acres of land situated north of State Route 238, west of Ak-Chin Southern Dunes golf course, near Ralston Road. The closest residential area, Acacia Crossing, is 3.4 miles from the proposed build site. Cobblestone Farms is half a mile farther east. A private club for driving enthusiasts of luxury sports cars is purchasing 280 acres in Maricopa for a racetrack, clubhouse and garages. Matt Williams, vice president of marketing for Private Motorsports Group in Scottsdale, said Maricopa was chosen for the Apex Motor Club after an “exhaustive search” for just the right site. “We have been welcomed by the city of Maricopa with open arms,” he said. The city’s proximity to Sky Harbor Airport, the topography of the area and the business fit for a clientele “of our nature” were all important factors for the decision. Williams said Apex is under contract to purchase the property on the west side of Maricopa from El Dorado Holdings. They expect to break ground late in the first quarter of 2017 and complete a 2.5-mile road course that summer. Completion of the entire complex is expected in 2018. The project is estimated at $25 million. Financing is already in place, he said. Completing a grading plan is the last step for acquiring a use permit from the city. The planned complex eventually will have a 15,000-square-foot clubhouse, locker room, restaurant, fitness center, pro shop and more. “It will be the ultimate man cave,” Williams said. The plans also include a karting complex, a garage condominium for up to 128 cars and a fueling station. Apex Motor Club has a membership waiting list of 300 people with expectations of reaching between 450 and 500, which is the cutoff. Memberships run from $4,000-per-year executive level to $12,000-per-year corporate level. The idea for Apex has been developed over the past two and a half years by a group of people who love to drive. Seeing a demand for year-round racing in the country in a strong car culture, they wanted to fill a “real need in the Phoenix Metro area” for a facility like they have imagined as Apex. 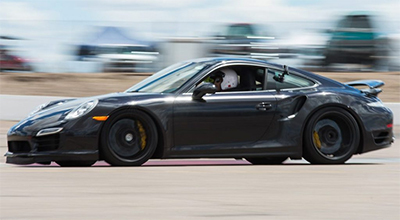 In April 2015, Private Motorsports Group debuted a Driver’s Club event at Wild Horse Pass Motorsports Park that allowed amateur drivers to take their high-performance cars on a racetrack under professional supervision. Apex Motor Club will provide a setting for members to do so in a country club setting on a more regular basis on a track of their creation.